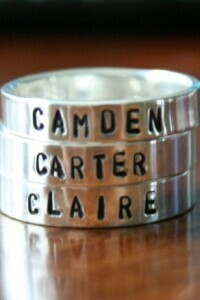 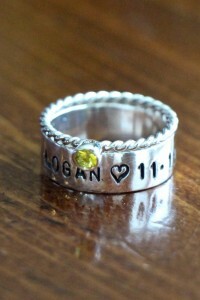 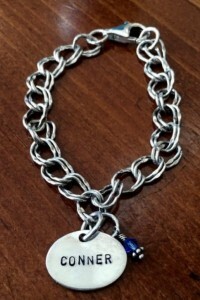 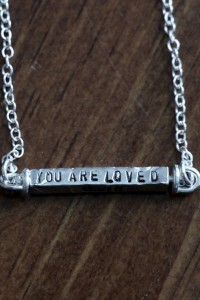 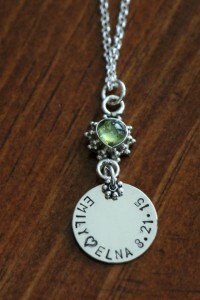 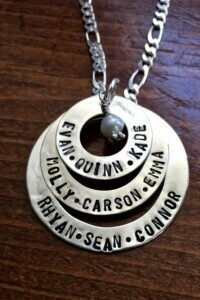 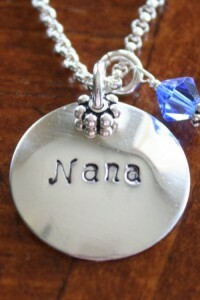 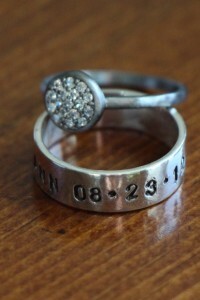 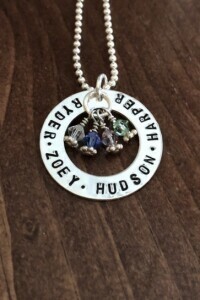 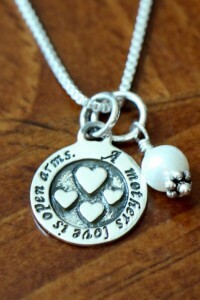 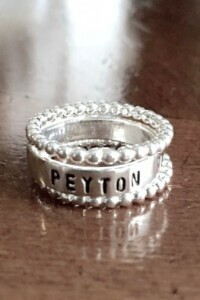 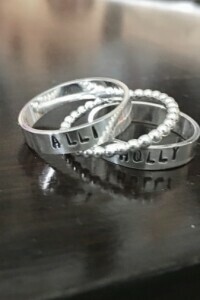 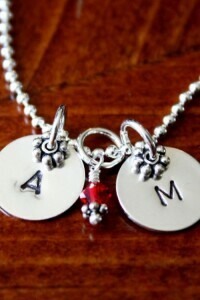 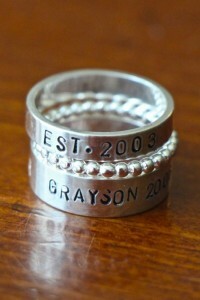 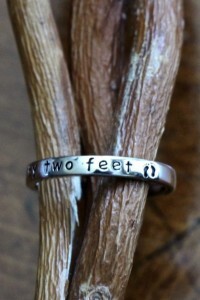 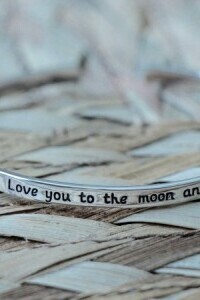 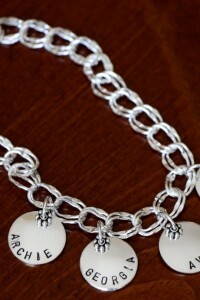 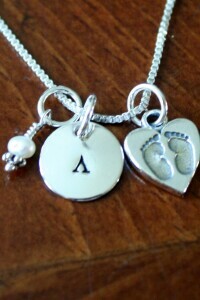 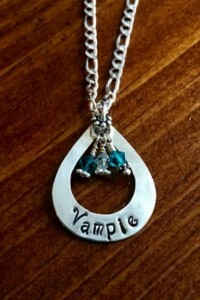 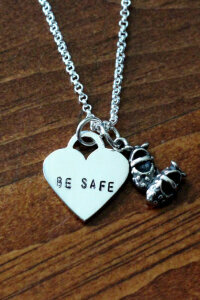 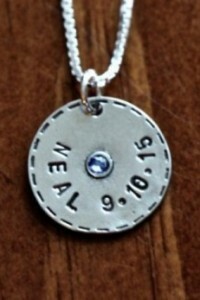 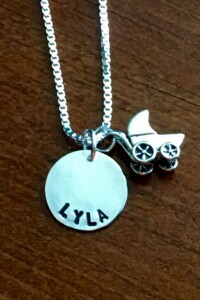 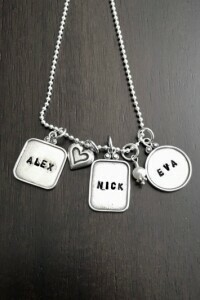 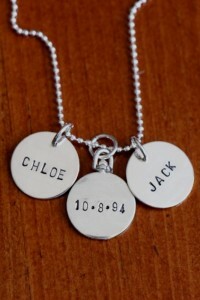 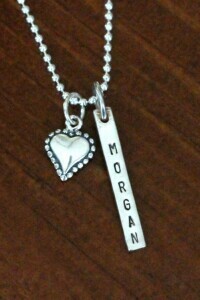 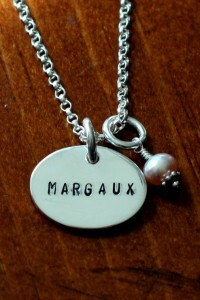 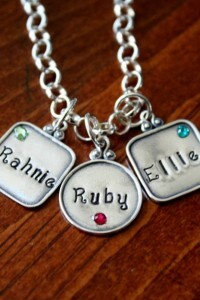 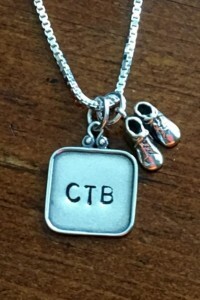 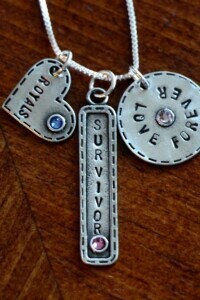 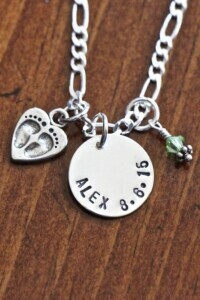 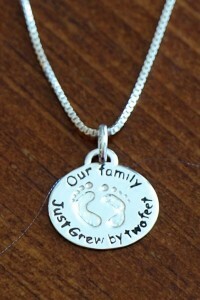 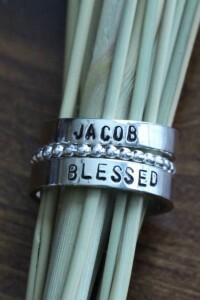 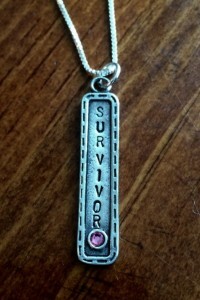 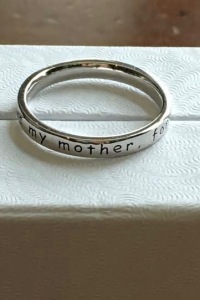 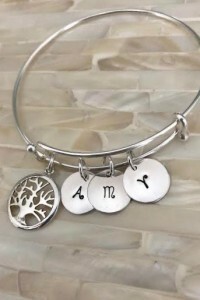 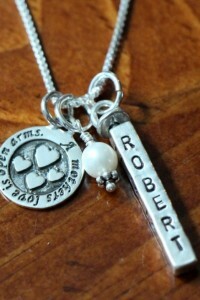 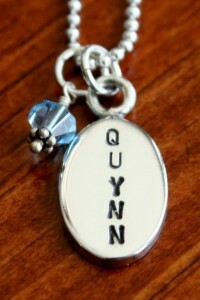 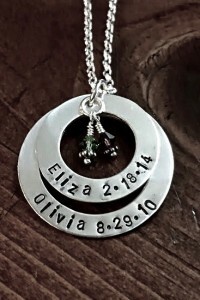 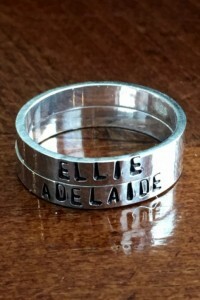 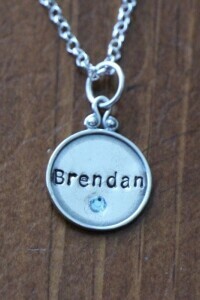 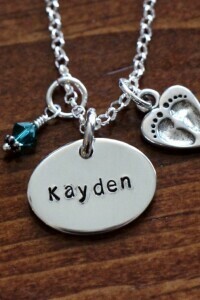 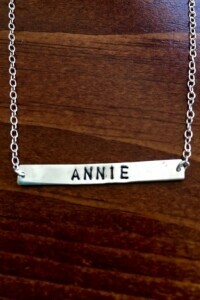 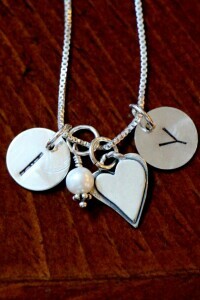 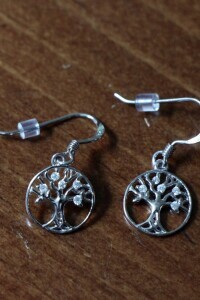 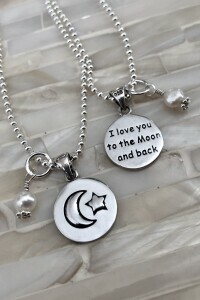 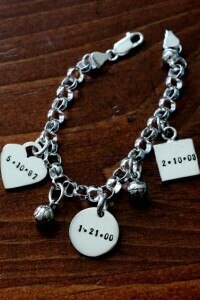 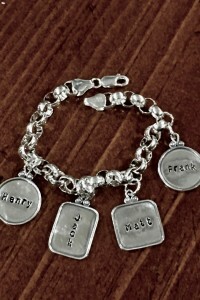 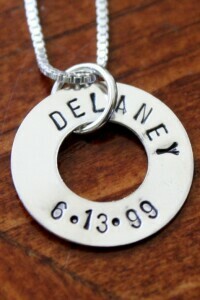 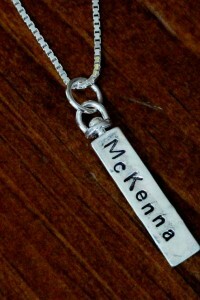 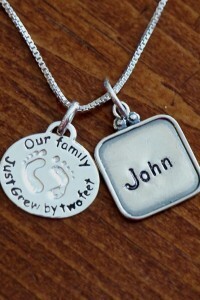 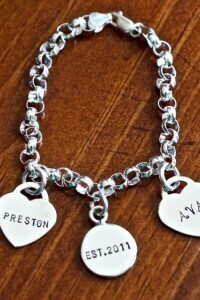 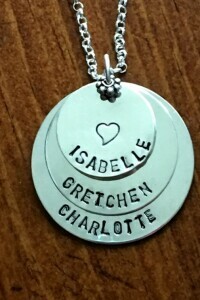 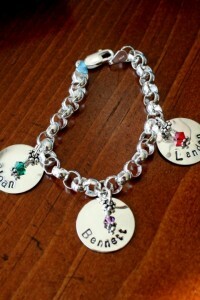 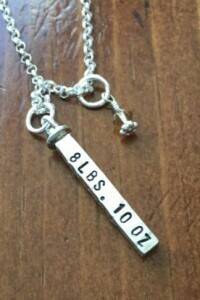 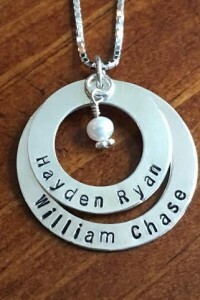 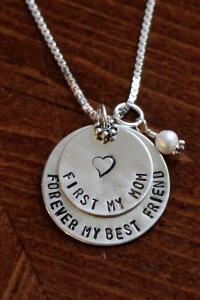 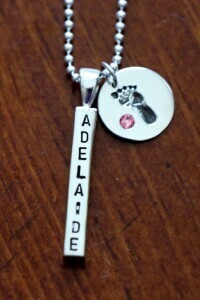 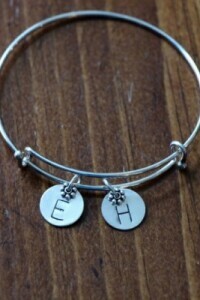 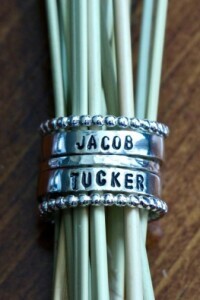 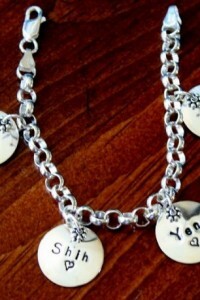 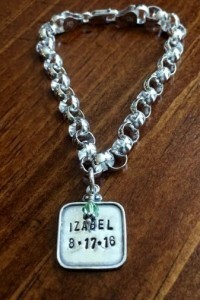 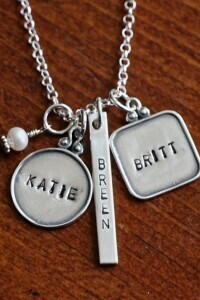 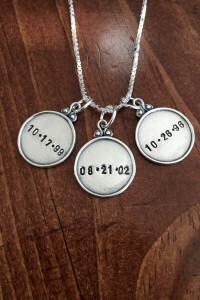 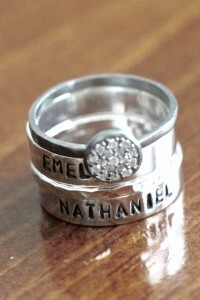 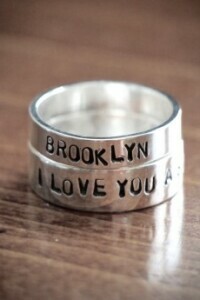 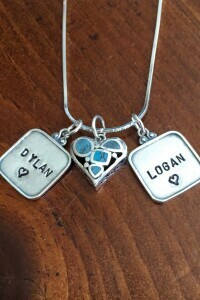 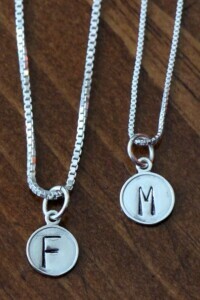 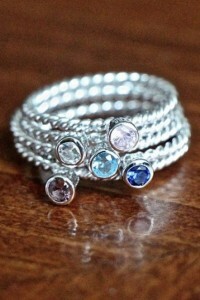 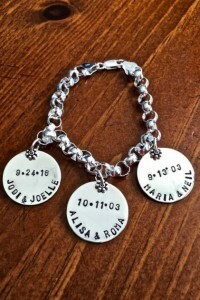 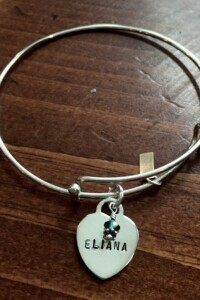 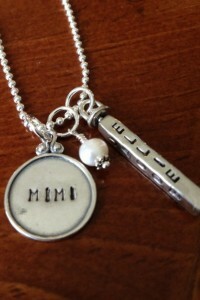 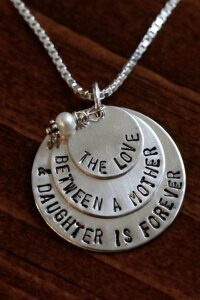 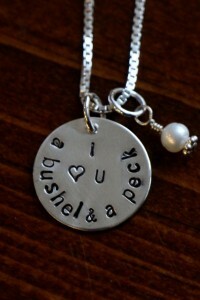 Make a memory with personalized family jewelry, perfect for Mothers and Grandmothers. 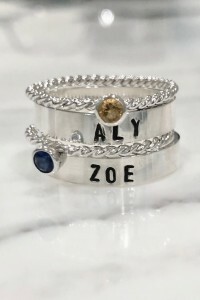 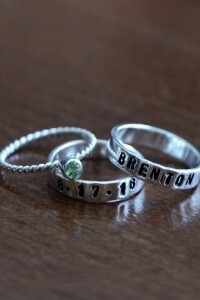 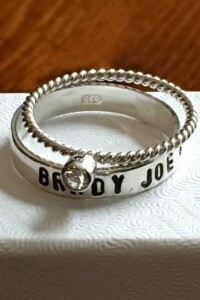 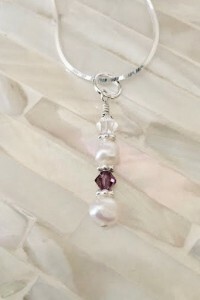 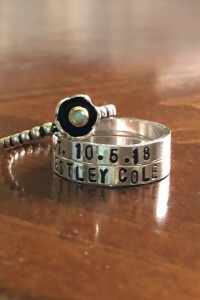 K&S Impressions offers everyday jewelry that is customized with the names, birth dates and birthstones of those they love. 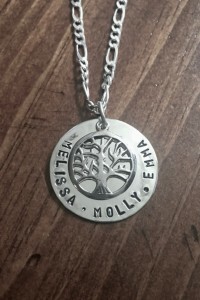 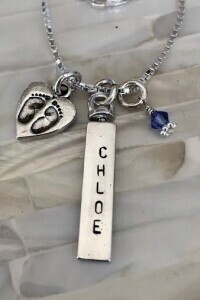 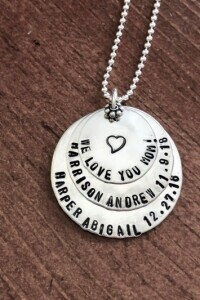 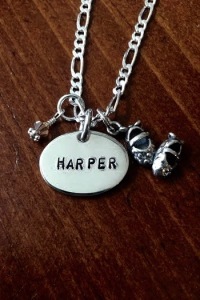 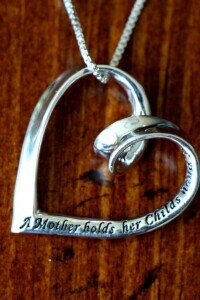 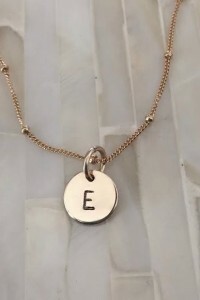 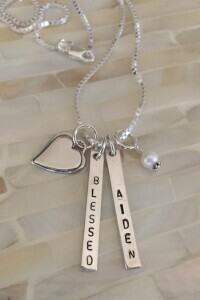 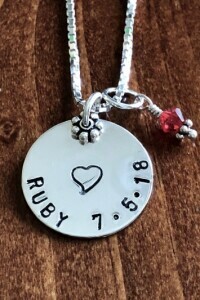 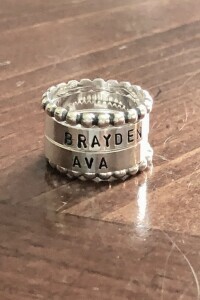 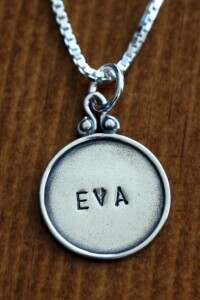 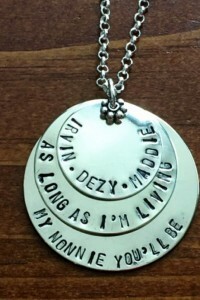 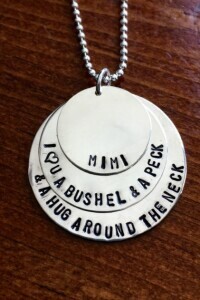 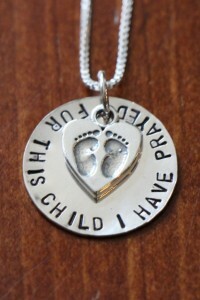 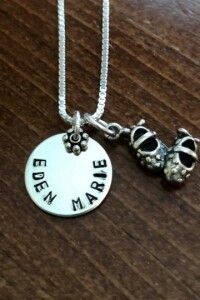 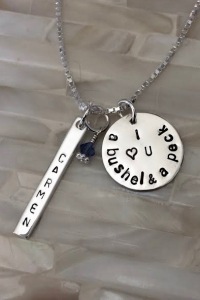 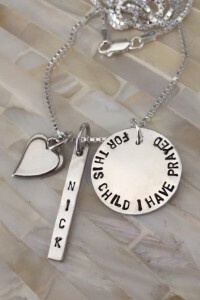 Shop our assortment of hand stamped mother’s charm necklaces, pendants, stackable name rings and family charm bracelets, to help her celebrate motherhood and keep close to heart.